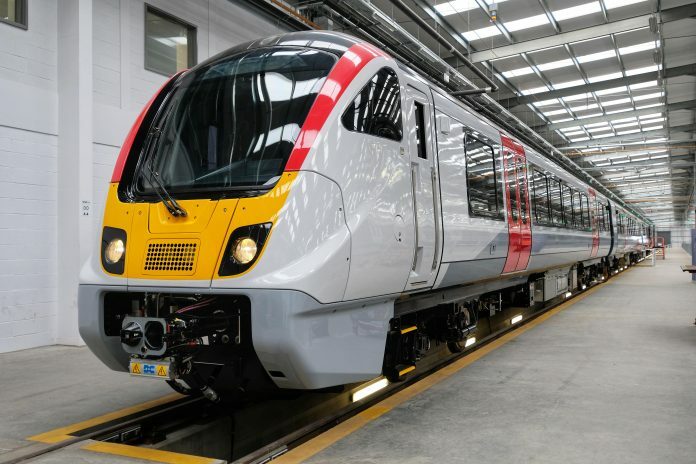 Bombardier is to begin testing its new fleet of Class 720 Aventra units for Greater Anglia after unveiling one of the first completed trains at its factory in Derby. Bombardier is building 665 new carriages in total – 22 10-car trains and 89 five-car trains – to replace Greater Anglia’s commuter trains in Essex, Hertfordshire, Cambridgeshire and parts of Suffolk. The walkthrough carriages will also allow passengers to move easily along the train. While the new Aventras won’t enter passenger service until next autumn, passengers will start seeing them on the network when they begin dynamic testing in early 2019. 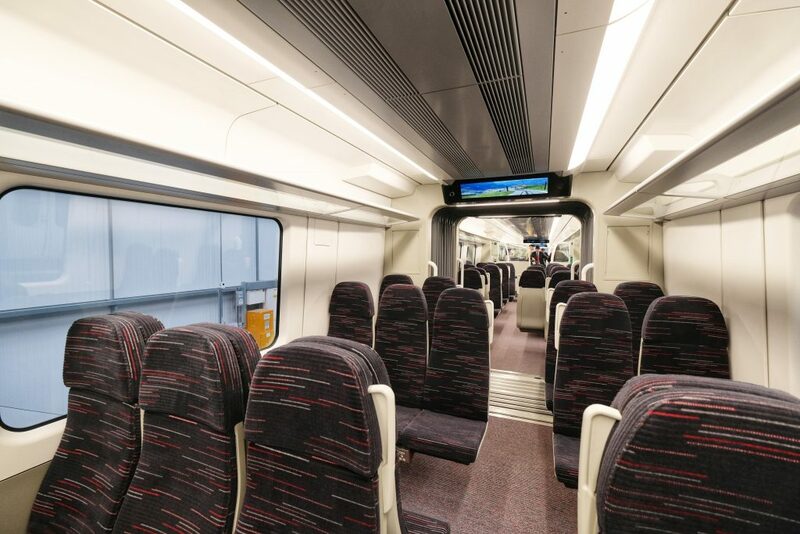 Greater Anglia’s Andrew Goodrum, who is leading the introduction of the new trains, said: “It’s great to see these new trains nearing completion. It’s now possible to see the huge difference they’re going to make to our commuters and other customers travelling to and from London Liverpool Street and across much of the Greater Anglia network. Next articleInnoTrans 2018 Outdoor Display: What to expect? Once the Class 720, Class 745 and Class 755 trains enters service across the Greater Anglia network. It will be farewell to the Class 153, Class 156, Class 170 DMUs, Intercity Class 90+Mk3 and Class 317, Class 321, Class 360 and Class 379 EMUs. With some of those units to be cascaded elsewhere including Northern England, Wales and perhaps Class 360 or Class 379 to be cascaded to the West Midlands. And Class 321 EMUs to be converted into Hydrogen units. Is this a photograph of a mock up? if it isn’t then a lot of passengers will have seats without a window which is not a happy prospect. And while the seats have moquette covers, they still look thin and hard. Would you have one of these in your living room? No. Bring back proper sprung seats!